WASHINGTON — The Supreme Court returns to the subject of partisan gerrymandering on Tuesday, considering for a second time in two years whether drawing election maps to help the party in power can ever violate the Constitution. Last year’s cases, from Wisconsin and Maryland, raised the possibility that the court might decide, for the first time, that some election maps were so warped by politics that they crossed a constitutional line. 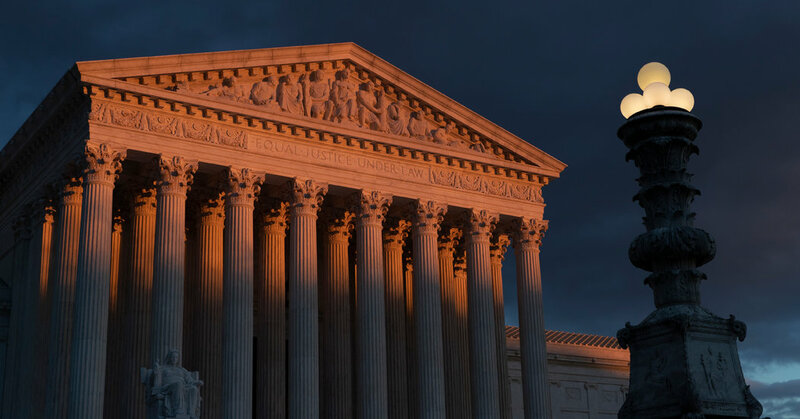 Challengers had pinned their hopes on Justice Anthony M. Kennedy, who had expressed ambivalence on the subject, but he and his colleagues appeared unable to identify a workable constitutional test. The justices instead sidestepped the central questions in the two cases. On Tuesday, almost exactly a year after they last considered the Maryland case, the court will again hear arguments from Republican voters there who said their rights had been violated by a congressional district they said had been drawn to diminish their voting power. The court will also hear arguments in a second challenge, this one from North Carolina Democrats who said the state’s congressional map yielded a 10-to-3 Republican majority despite very close statewide vote counts. A ruling that limited partisan gerrymandering could transform American politics, reshaping House maps in several states, often but not always to the benefit of Democrats. But Justice Kennedy’s replacement by Justice Brett M. Kavanaugh makes such an outcome less likely, election law experts said. Indeed, the court could rule that the Constitution imposes no limits on the practice. The Supreme Court has ruled that racial gerrymandering can violate the Constitution. But it has never struck down a voting map as an unconstitutional partisan gerrymander. The court’s decision to hear the new partisan gerrymandering challenges did not signal any particular enthusiasm for addressing the issue. While the court has almost complete discretion in deciding whether to hear most kinds of cases, Congress has made an exception for some disputes concerning elections. In those cases, Supreme Court review is all but mandatory. The Maryland case, Lamone v. Benisek, No. 18-726, was brought by Republican voters who said Democratic state lawmakers had in 2011 redrawn a district to retaliate against citizens who supported its longtime incumbent, Representative Roscoe G. Bartlett, a Republican. That retaliation, the plaintiffs said, violated the First Amendment by diluting their voting power. Mr. Bartlett had won his 2010 race by a margin of 28 percentage points. In 2012, he lost to Representative John Delaney, a Democrat, by a 21-point margin. Last year, after the Supreme Court returned the case to the United States District Court in Maryland, a three-judge panel of that court ruled for the challengers, barred state officials from conducting further congressional elections using the 2011 maps and ordered them to draw new ones. The members of the panel did not agree on exactly which legal theories applied, but all three judges said partisan gerrymandering was pernicious. Judge James K. Bredar echoed the last point. “Partisan gerrymandering is noxious, a cancer on our democracy,” he wrote. The second case, Rucho v. Common Cause, No. 18-422, is an appeal from a decision in August by a three-judge panel of a Federal District Court in North Carolina. The ruling found that Republican legislators there had violated the Constitution by drawing the districts to hurt the electoral chances of Democratic candidates. The plan worked. In 2016, the court said, Republican congressional candidates won 53 percent of the statewide vote. But they won in 10 of the 13 congressional districts, or 77 percent of them.